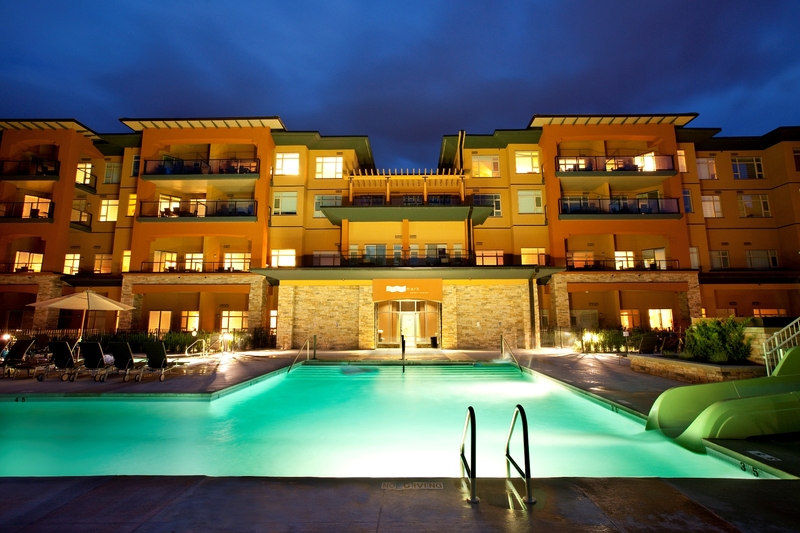 Watermark Beach Resort is the Okanagan’s leading destination resort. Located in Osoyoos, BC, the resort is a stunning five-hour drive from Vancouver and Seattle, a two-hour drive from Kelowna International Airport, and a 45-minute drive from Penticton regional airport. Situated in Canada’s only desert, visitors can take advantage of the country’s driest climate with the lowest annual rainfall. Showcasing the best of the South Okanagan, Watermark Beach Resort’s surroundings boast world class wineries, award-winning golf courses, and one of North America’s up-and-coming cycling destinations. The lakeside resort’s amenities include extraordinary suites (complete with gourmet kitchens), the award-winning Restaurant at Watermark, hot tubs, steam rooms, an outdoor heated pool, waterslide, spa, onsite wellness coordinator and facilities, Yoga, Pilates, SUP and more. Watermark Beach Resort is a proud member of the Trip Advisor Hall of Fame, and is currently ranked the number one resort in the Okanagan.